It was one of the most memorable moments in Super Bowl history. When the stadium went dark. Hashtag #blackout blew up on Twitter. And from a virtual pile-up of snarky quips, one company came up with the ball. 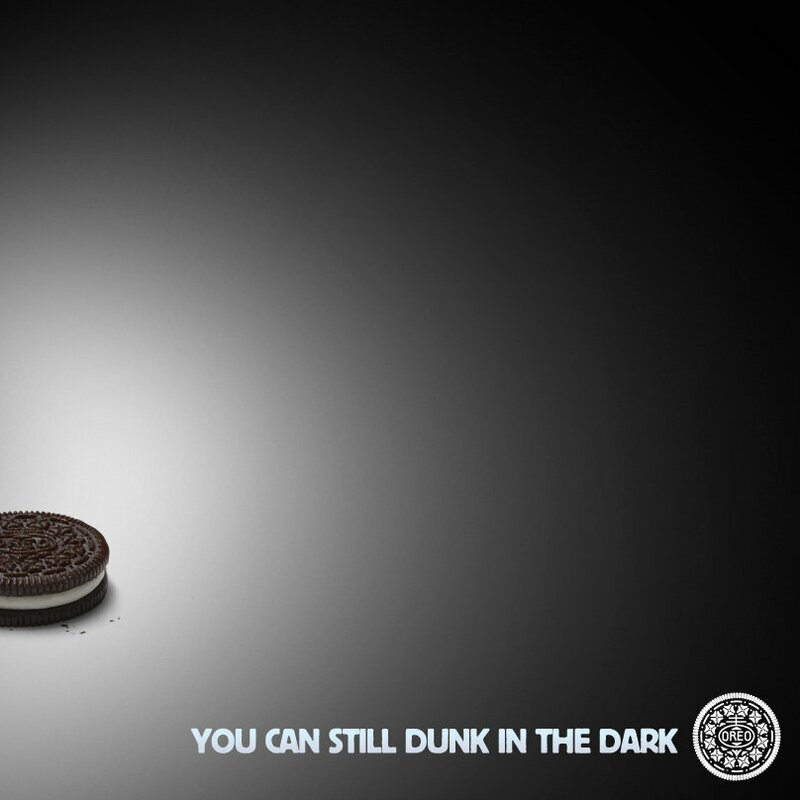 “You can still dunk in the dark.” It spread like wildfire. And it cost far less than the actual commercial Oreo ran on television during the game. A cream-filled cookie became the night’s true marketing champion. On his blog, Marketing the Arts to Death, arts and entertainment consultant Trevor O’Donnell, asks the question, “Should arts marketers emulate Super Bowl ads?” I commented on his article, but I decided to re-post and expand my response here because I think it bears repeating. My answer: Yes. Sort of. Sam Ford, Director of Digital Strategy with Peppercomm and co-author of Spreadable Media, suggests in his Fast Company article, “When it comes to content strategy, it’s better to think about spreadability than stickiness.” Arts organizations would benefit taking notes from this winning playbook. I agree with Howard on the apples to elephants comparison and looking at the “long view.” Arts organizations can do this by embracing the concept of spreadability. The quicker our messages spread, the better chance we have to grow our audience with limited budgets. This approach is essential when marketing plays, operas, art shows and ballets, which typically have limited runs. It also affects a brand’s long term perception by introducing that company to a new audience when it spreads. The elephants may have the money. But at 72,888 followers on Twitter, Oreo has only 44K more than Carnegie Hall, 43K more than Lincoln Center, 30K more than The Brooklyn Academy of Music, and Cirque du Soleil has 508K followers – seven times as many as Oreo! Arts companies have the reach. But we only impact if we’re in the game. As thousands of underdogs before have shown, it just takes one good “Hail Mary” to win the big game. Thanks for the reference and link. James. The fact that Oreo was listening and spoke to something culturally relevant in real-time speaks to exactly what brands can do to engage in conversations their audiences care about…and show their humor and their humanity. Exactly. There’s much debate in the political spheres over whether or not companies are people (another issue altogether). Ironically, the more companies act like human beings, the more connected they will be with their audience. No problem on the reference, Sam. Thanks for writing it. It supported my article well. Best with the book launch.